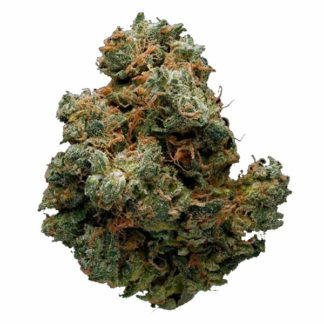 Golden Triangle is a rare evenly balanced hybrid (50% indica/50% sativa) strain created through a cross of the potent Triangle Kush X Appalachia strains. With Golden Triangle, get ready for an insanely gorgeous appearance. Golden Triangle buds have bright minty green popcorn-shaped nugs that are spattered with thick furry golden amber hairs and are completely coated with a super thick frosty coating of tiny golden crystal trichomes.